The team of R Carminati developed a theoretical framework for the analysis of the quantum coherence of light emitted by two single photon sources in a structured environment.The approach provides design rules for controlling the degree of quantum coherence. We have derived general conditions to generate “subradiant” and sub-gradient states of the transmitters. These conditions should guide the design of nanostructured environments to generate quantum coherence of light emitted by two or more individual photon sources, which would be an important step in quantum nanophotonics. The connection between the degree of quantum coherence and the local environment of the transmitters could also stimulate new strategies for detecting sources in complex media. 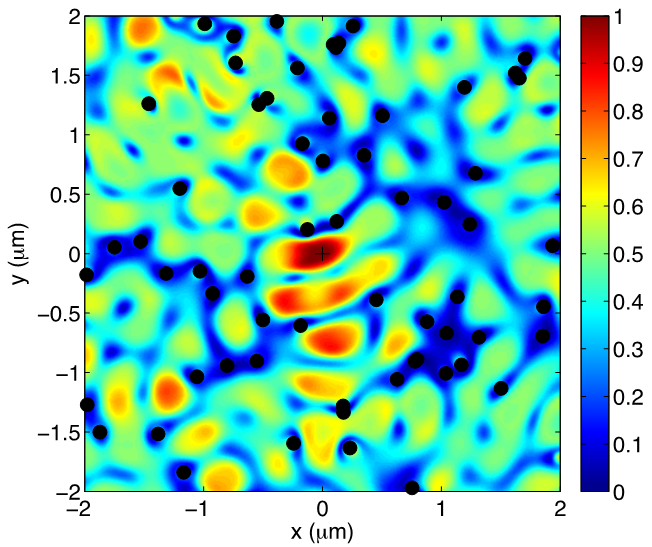 Numerical simulation of the degree of quantum coherence of the light emitted by two single photon sources in a 2D medium made of discrete scatterers (black dots) in the presence of multiple scattering.  The degree of coherence is plotted as a function of the position of an emitter scanning across the medium, while the other emitter is fixed at the origin (dark cross). Red (blue) colors indicate positions for which superradiant (subradiant) emission is obtained. Emission wavelength λ = 698 nm.